Author: Naruto (the monkey himself). David Slater, from Coleford, Gloucestershire, UK, was taking photos of macaques on the Indonesian island of Sulawesi in 2011 when the animals began to investigate his equipment. 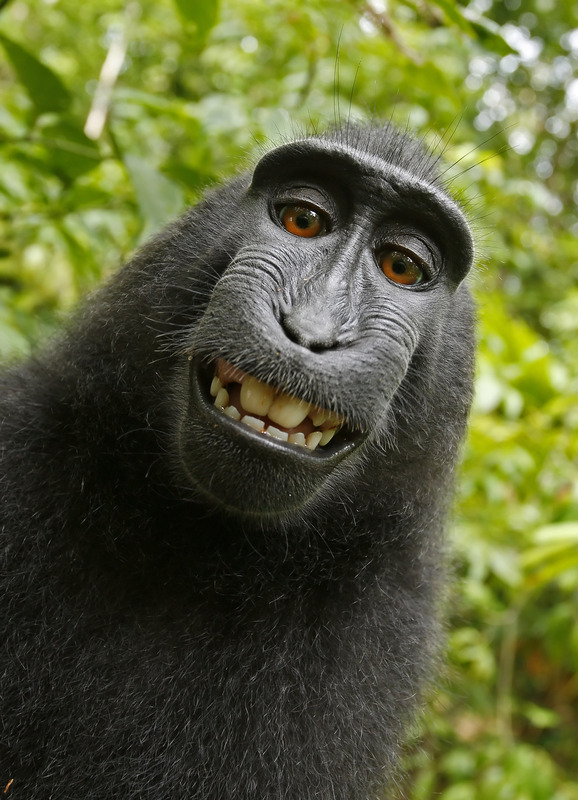 A black crested macaque appeared to be checking out its appearance in the lens and it wasn’t long before it hijacked the camera and began snapping away.